Wait. What’s that? Can you feel it? Yes, believe it or not, it’s the warm glow of the sun. You’d forgotten what it felt like, didn’t you? Ladies and gentlemen; summer is coming. It’s time to buy some sunscreen, clean the barbecue, and book your vacations. We’ve got months of glorious weather ahead of us. Except, summer isn’t always so wonderful. 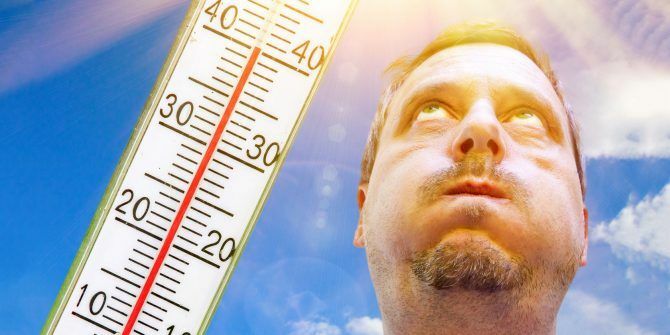 To our current sun-starved bodies it sounds amazing, but by mid-September, when the humidity is pushing 100 percent and the daily temperature is soaring over 100 degrees, you’ll be dreaming of Santa Claus and snow. Why not get a helping hand through those dog days? 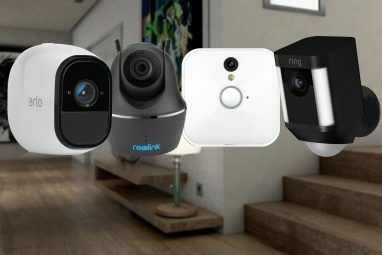 Here are seven smart home gadgets that are guaranteed to help you survive the summer. Barbecues and summer nights go hand-in-hand. Successfully completing your first grill of the year without getting wet is a sure-fire sign summer is only just around the corner. While the concept of cooking food over hot coals or open flames has served humans well for thousands of years, we’ve finally moved on. Now you can get a smart grill. This model by Lynx is one of the best available right now. 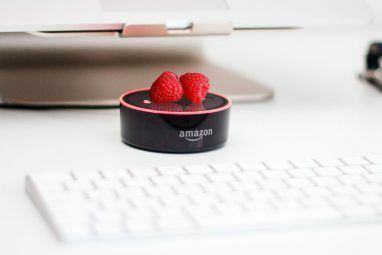 You can control it with your voice or accompanying smartphone app, and it has temperature sensors that provide constant feedback of your food’s readiness to your device. The app itself includes pre-defined recipes 5 Unique Sites for Finding and Sharing Free Recipes 5 Unique Sites for Finding and Sharing Free Recipes Cooking is one of the best creative hobbies for stress-relief. If you are an experienced cook or a beginner, these five sites will help you approach your recipes in unique ways. Read More that’ll adjust the temperature and rotating rotisserie automatically. There’s even a party mode so your guests can line up their cooking. It’s like a playlist for your dinner. What goes perfectly with a tasty barbecue? An ice-cold beverage, of course! Whether your drink of choice is a can of soda or a bottle of beer, you need it to be refreshingly chilled before you consume it. And what better way to ensure it’s at the perfect temperature than using a smart mini fridge? You should check out the Bud-E Fridge. 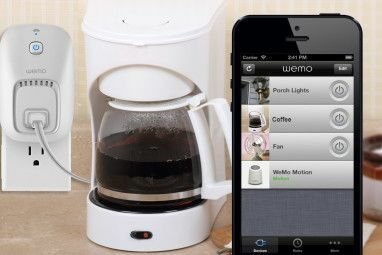 It has space for 78 drinks and comes with a smartphone app that allows you to control the temperature. The app also alerts you when you’re getting low on stock and gives you a countdown to when your drinks will reach the perfect serving temperature. The only downside? You’ll have to spend all day looking at the Bud Light logo emblazoned on the side. Let’s stay outdoors for a moment. While we humans might love the hot sun, plants aren’t always so keen. A lack of water has slain many-a-picturesque garden over the years. Not anymore. Smart sprinkler systems are here to help. It doesn’t matter whether you’re not watering your shrubbery out of laziness, forgetfulness, or because you’re away from home — smart systems will never let you down. There are a lot of different smart sprinklers Save Money and Water With the Rachio Smart Sprinkler Controller Save Money and Water With the Rachio Smart Sprinkler Controller Smart home technology is taking to the great outdoors. A smart sprinkler controller like the Rachio uses Wi-Fi to keep your lawn green while saving on water and money! Read More to choose from, but one of the best is Skydrop. It connects to your existing “dumb” sprinkler system and works with up to seven zones. For each zone, you can program the soil type, plant type, sprinkler type, slope, and shape. Skydrop takes zone information and correlates it against the weather forecast Google Maps Is All You Need for Real-Time Weather Data Google Maps Is All You Need for Real-Time Weather Data Did you know that Google Maps includes real-time weather data? Here's how to make the most of it. Read More . As such, it will only administer water when it’s necessary to do so, saving both water and money. Ok, that’s enough sun. Time to take refuge from the heat in the sanctuary of your house. I just hope you haven’t accidentally left your blinds open — any south-facing room will be even hotter than outside. If you go to the expense of installing smart blinds, you’ll never have this problem again. Unfortunately, they aren’t cheap. The Lutron Serena Shades, which offer a good balance between cost and quality, will set you back $350 per blind. You also need to shell out $150 for the hub that links all the blinds with the app. As for the blinds themselves, you can program their daily opening and closing times, open/close them at any time with a tap on your phone, and control them with your voice using Siri How to Use Siri With Your Smart Home Devices How to Use Siri With Your Smart Home Devices Controlling your smart devices with Siri makes them incredibly easy to use, but it's not easy to find commands that work with each product. Why not start by giving these ones a try? Read More . They also have geofencing, meaning they can open and close automatically whenever you leave or return to your house. We’ve all heard of smart thermostats like Nest Finding the Best Smart Thermostat for Your Home Finding the Best Smart Thermostat for Your Home Looking for a good smart thermostat for your home? Keep in mind that some are smarter than others! Take a look -- one of these options may be your solution! Read More , but if it’s more than 100 degrees outside, you need to do more than simply adjust your central heating. You’ll want to turn all your air conditioning units up to full power. Technically, Nest might work with some AC units, but you’d need a degree in electrical engineering to stand a chance. Not to mention you’d be voiding your AC’s warranty by fiddling with it. So how can you automate your AC Are Smart Air Conditioners Truly Smart? Are Smart Air Conditioners Truly Smart? There are now many smart air conditioners on the market. Should you spend your money on these? It's time to find out. Read More ? Have a look at Sensibo. It’s an IR blaster that works with all the main AC brands. Mount the blaster to a wall near your unit, and you can control it using your smartphone. As you’d expect, it allows you to program schedules and turn your AC on/off when you’re away from home. You can control units with your voice thanks to Alexa and Google Home integration, and it also works with IFTTT. Finally, like the Lutron Serena Shades, it supports geofencing. Air conditioning uses a lot of electricity. For a cheaper and greener solution 5 Smart Hacks To Save Electricity In Your Smart Home 5 Smart Hacks To Save Electricity In Your Smart Home he trick to saving electricity is in knowing where most of your energy is consumed. Read More , stick to ceiling fans. Unsurprisingly, you can now find a new class of “smart fan.” Unfortunately, these aren’t like Sensibo or Skydrop. You can’t add smart capabilities to your existing fans. You’ll need to buy them as new. Consequently, they might not be suitable for someone on a tight budget. Nonetheless, if you can afford the $550 for Haiku’s cheapest model, they’re a worthwhile investment. The fans can automatically engage if they detect motion, monitor the temperature and adjust their speed accordingly, and even vary their speed to simulate the wind. All the fan’s functions can be controlled from the smartphone app. The app will also let you create schedules and even alter the hue of the fan’s lightbulb if you bought an applicable model. Finally, let’s move outside the perimeter of your property. One of the most popular summer pastimes is camping. There’s nothing quite like pitching your tent and singing songs around a campfire while simultaneously being eaten by the local mosquito population. Mosquitos aside, a 21st-century camper has one other big problem to contend with: how to keep gadgets charged RAVPower 27000mAh Portable Charger Review RAVPower 27000mAh Portable Charger Review Today we're taking a look at the RAVPower portable AC-capable battery pack, with a humongous 27,000mAh charge capacity. Read More . Well, not anymore. Thanks to the amazing Biolight Campstove, your campfire’s heat can be converted into electricity. The Campstove has an integrated 2600 mAh battery, a LED dashboard, and a USB plug outlet. You just need to find the sticks to burn! How Will You Survive the Summer? I’ve introduced you to seven awesome gadgets that’ll get you through the summer with little more than a slight sweat. Some are expensive, some are cheap, but all will make the heat more bearable. Which devices can’t you do without once the temperature starts to rise? What are your essential summer gadgets? As always, you can leave all your thoughts, suggestions, and opinions in the comments below. Explore more about: Gadgets, Home Automation, Smart Garden.